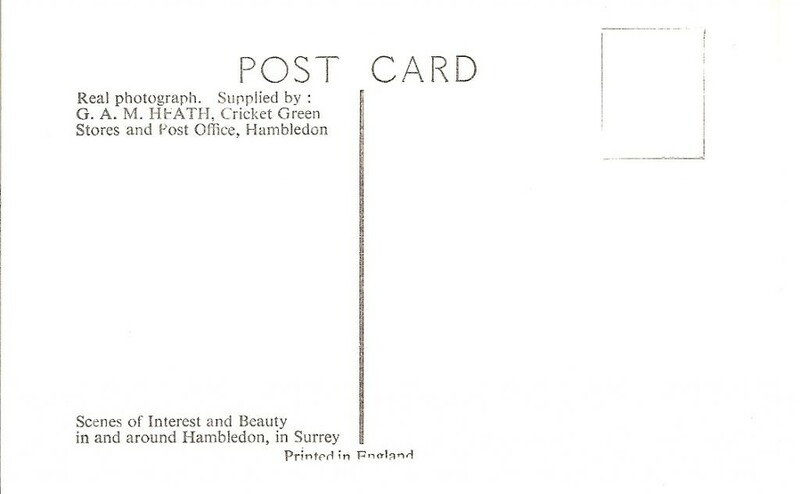 HAMBLEDON CHURCH – CAN YOU HELP SECURE ITS FUTURE? 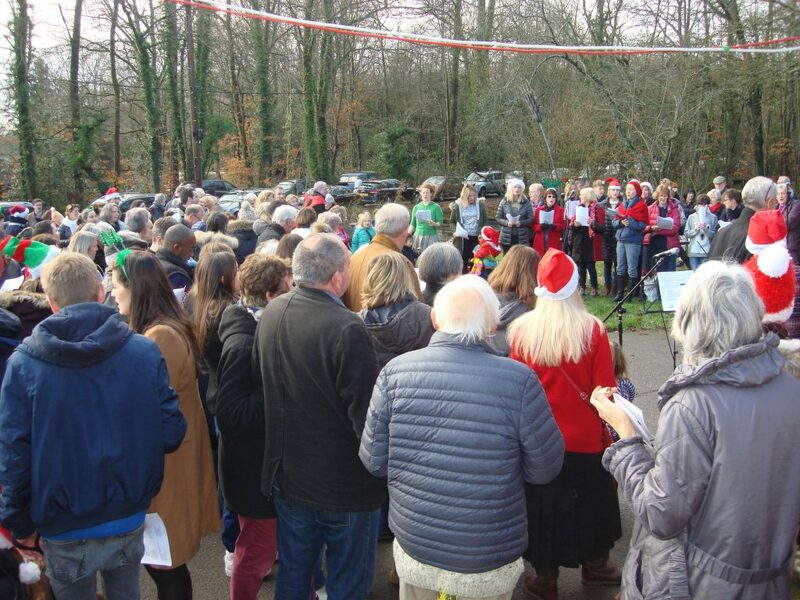 If Hambledon is to have a new vicar and secure a future for its village church then money must be raised with the help of the local community and its residents. 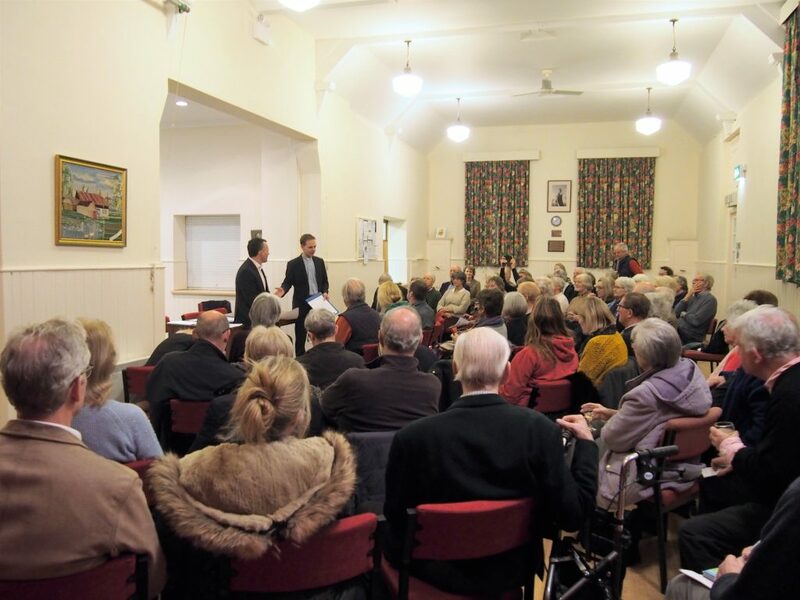 The challenges facing St Peter’s Church and its continued ministry to the village were outlined by Simon Taylor, rector of the joint benefice of Busbridge and Hambledon, and Andy Dunn, treasurer of Hambledon church, at a packed meeting at the village hall on Thursday evening (March 7th, 2019). Hambledon has not had a vicar since Catherine McBride moved to a new parish in October 2017. Although it was intended that she would be replaced, several obstacles stalled the process. Mervil Bottom, the church house in the village, suffered severe water leaks when empty during the following cold winter and required major repairs and renovation. And the parlous state of the church’s finances meant that the Diocese of Guildford questioned whether it was feasible to appoint a new minister. It costs £120,000 a year to fund St Peter’s with a vicar, but the income is currently just over £80,000. The biggest single outgoing is £30,000 that St Peter’s has to pay to the Diocese. Second is the £28,000 salary to the vicar, which rises when tax and pensions are added. 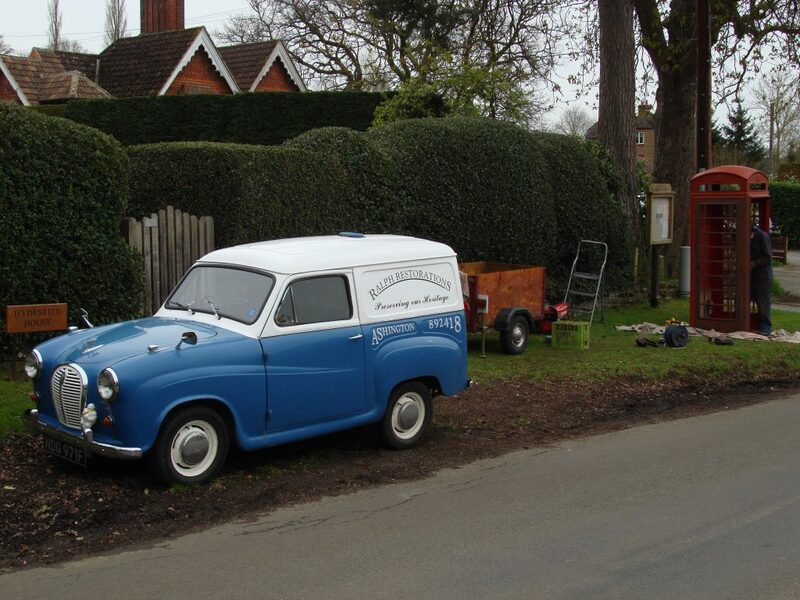 Then comes maintenance of the church, churchyard, Mervil Bottom and insurances. Money raised from events such as weddings goes directly to the Church of England and not to the parish church. The only money that comes to the church is from the Sunday collection plate, Gift Aid, standing orders and donations from generous benefactors and a small grant from Hambledon Parish Council. 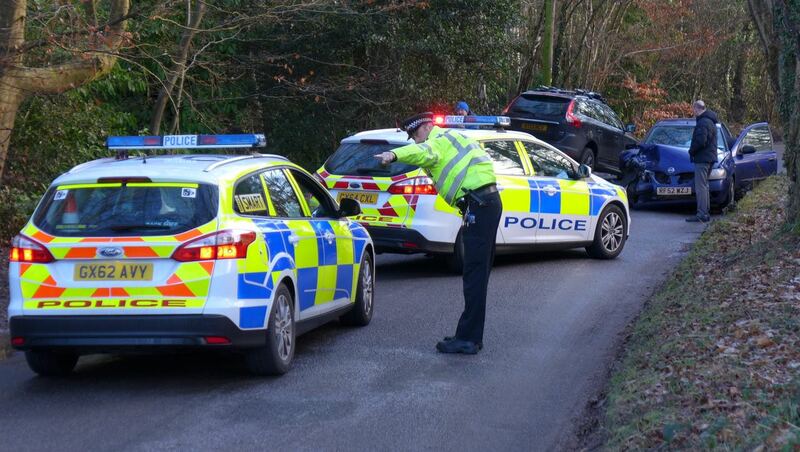 Hambledon Parish Council has held talks with Surrey County Council highways engineers and Surrey Police road safety officers in order to press home its case for measures to reduce the speed of traffic through the village. 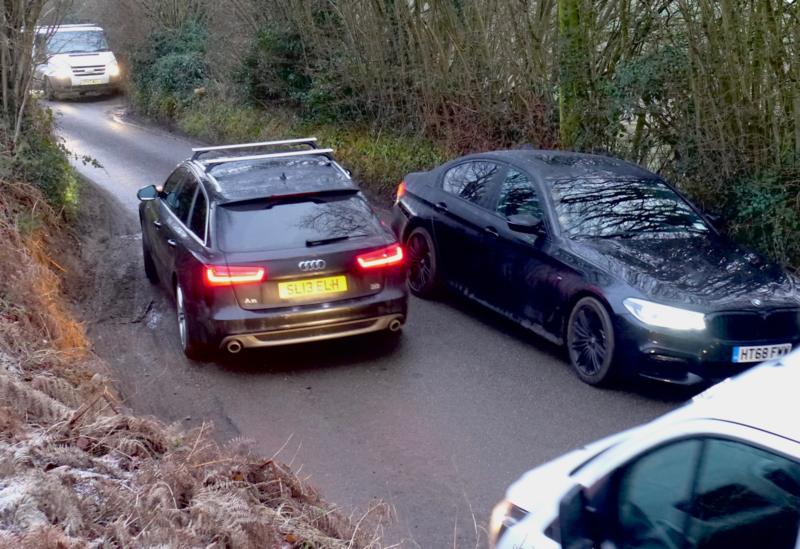 At the same time, it also raised concerns about road safety at the Hydestile Crossroads and along the narrow Salt Lane and Marwick Lane, already a rat-run and likely to become even more of a danger if and when the approved new homes are built at Dunsfold Aerodrome. It emerged that Hambledon is unlikely to get a 20mph speed limit through its centre – which some villagers have been asking for – as neither Surrey County Council or Surrey Police have any evidence that speeding is a problem. And they do not have data to indicate injury accidents have occurred with any frequency. Nevertheless, the parish council stated that there was anecdotal evidence to indicate speeding was an issue. The outcome of the meeting was that speed data recorders will be temporarily installed at key locations along Hambledon Road to measure traffic speed. However, the council was warned that this exercise may demonstrate that there is no significant speeding in the village, despite perceptions. And severe budget restraints may limit or exclude any steps that could be taken to implement traffic calming. It was also suggested that Hambledon could consider implementing its own community speed watch. Police would provide villagers with approved speed detection devices. 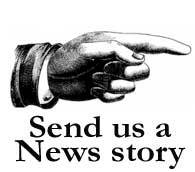 Drivers of vehicles caught speeding are sent warning letters. 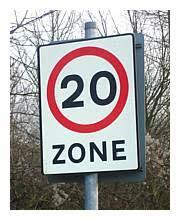 The council has been investigating whether a 20mph speed limit could be introduced in the centre of the village, and in particular in the narrow section outside the Merry Harriers pub and the village nursery school, both of which have expressed support for traffic calming measures. 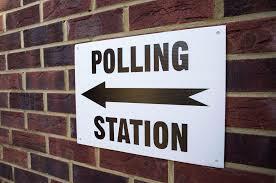 Parish councillors Mary Grove and Stewart Payne secured a meeting with Surrey County Council and Surrey Police. 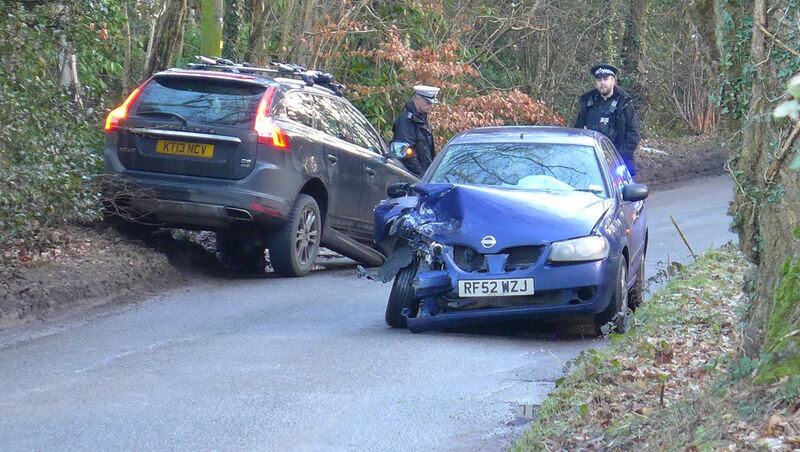 Only SCC has the authority to approve road changes and reduce speed limits, and only Surrey Police can enforce the limits. The meeting took place on Tuesday (February 26th) and was attended by Adrian Selby, senior SCC highways engineer, Graham Cannon from Surrey Police road safety traffic management office and PC Steve Milford, casualty reduction officer. Councillors Grove and Payne and Julie Fleney, parish clerk, showed them around the village and highlighted areas of specific concern. 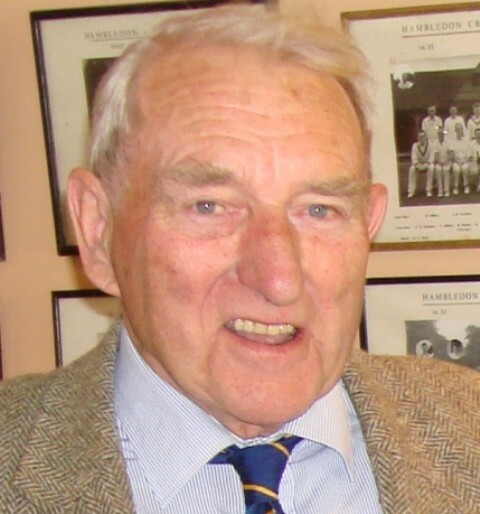 Mr Selby had previously written to the parish council stating it was “extremely unlikely” that Hambledon would meet the criteria for lowering the current 30mph limit in the village centre. He also stated that SCC data did not indicate that any “particular safety problem exists” and that he was not able to recommend any engineering measures such as changes to road surfacing or road narrowing. A collision between two cars at the Hydestile Crossroads today (Tuesday January 29th) resulted in one overturning and the other receiving extensive front-end damage. No one was hurt. The accident occurred during the busy morning peak period when temperatures were below freezing. 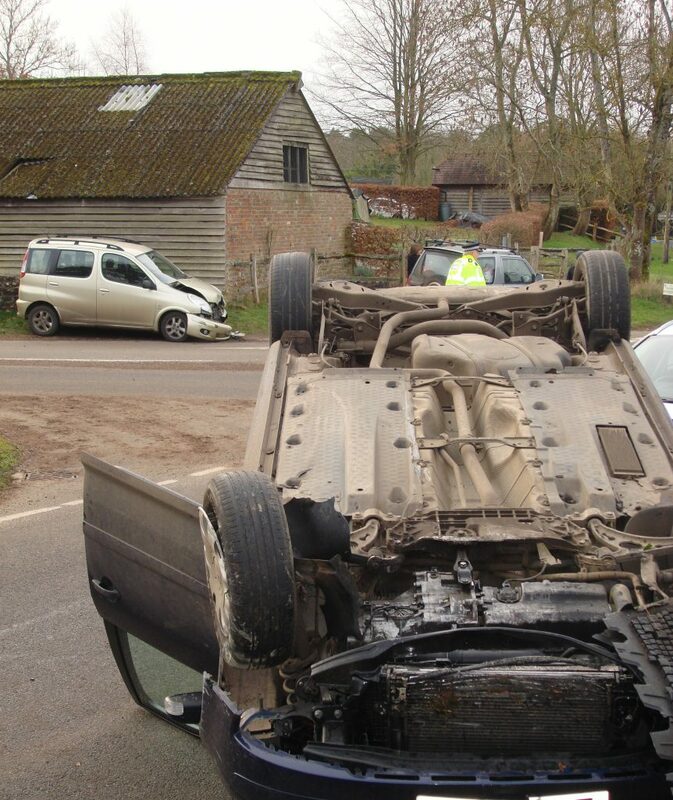 The overturned vehicle came to rest on its roof on the Hambledon Road. The other was at the junction with the crossroads, in Salt Lane. The Bargate stone wall of Hydestile Farmhouse was partly demolished in the collision. Police were swiftly on the scene, attending to the occupants of the cars and directing traffic. Although shocked, no one needed medical treatment. The road remained open and the vehicles were recovered by 11am. 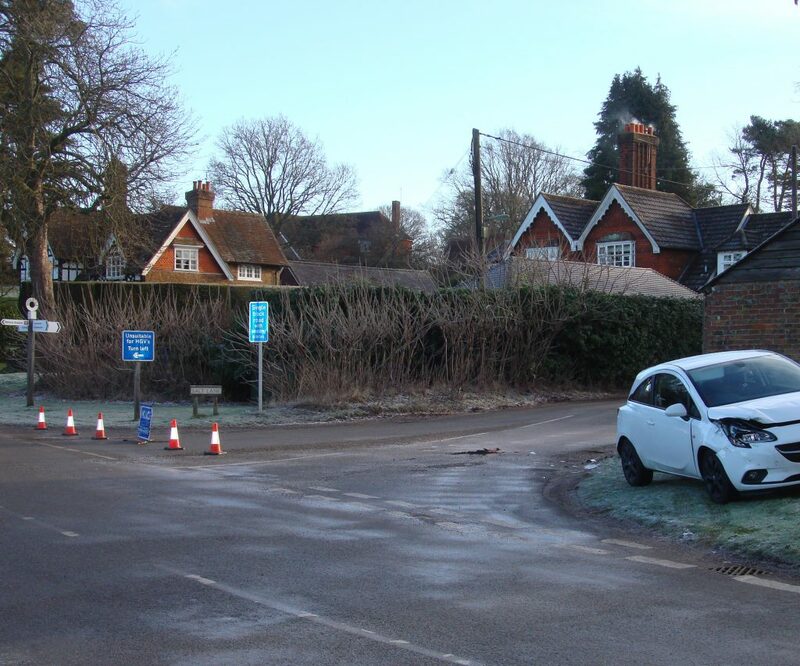 This is the latest of many accidents at the Hydestile Crossroads and comes at a time when Hambledon Parish Council is pressing police and Surrey County Council Highway Department to consider road safety measures along Hambledon Road, from Hydestile to Lane End. Julie Flenley, the newly-appointed clerk to Hambledon Parish Council, has attended her first meeting, having taken up her appointment on January 1. She replaces Caroline White, who resigned after serving as clerk for a year following the retirement of her long-standing predecessor, Jane Woolley. 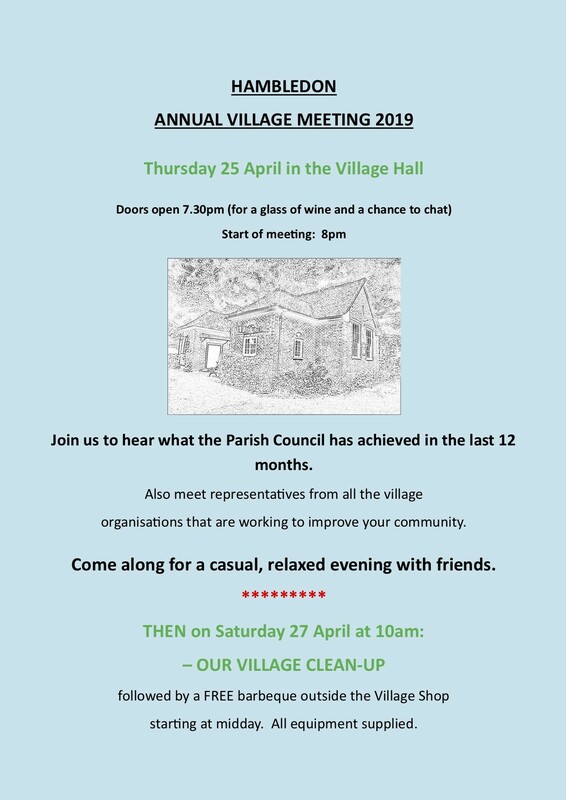 Julie brings a wealth of experience in the public sector to the job and said she was looking forward to working with the seven elected Hambledon parish councillors and for the benefit of the village. 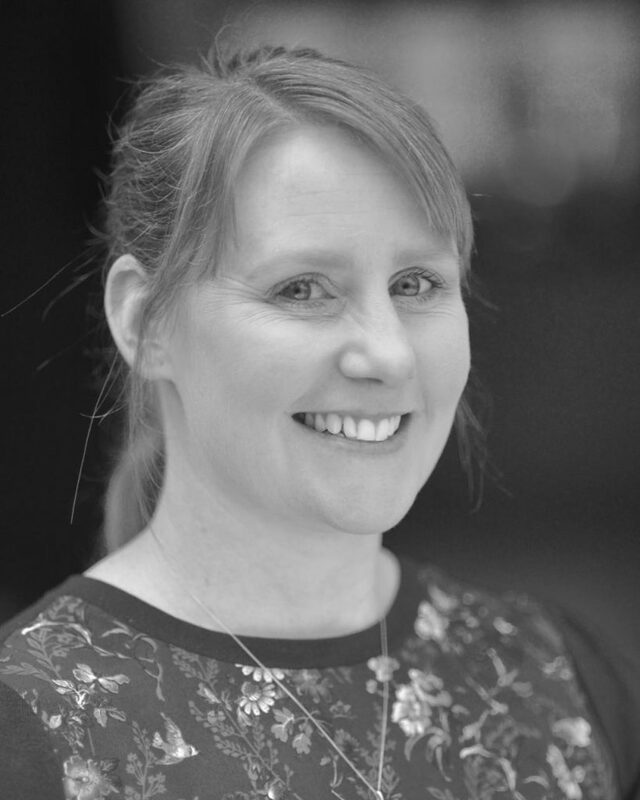 Julie was born and raised in County Londonderry, in the north west of Northern Ireland. After school and college at Limavady she left Derry to study business at the University of Northumbria in Newcastle, where she obtained a degree in travel and tourism management. She then moved to Manchester where she worked for what was then the Countryside Agency (now Natural England), the statutory body with responsibility for the rural environment. She went on to join English Heritage, a non-departmental government body responsible for the protection and management of more than 400 historic monuments, buildings and places. Julie’s work included assessing grant applications and she had a particular involvement in managing funding in relation to secular historic buildings and places of worship. Her duties required her to make financial needs assessments and also brought her into regular contact with local authority planning departments. This experience should stand her in good stead as she takes up her role as clerk to Hambledon Parish Council. Julie said: “I think my background makes me suited to the job of clerk and I am looking forward to it very much”. During her time in Manchester she met and married her husband Richard, who works in the legal profession. A move in his job resulted in them relocating to the south of England, with Julie taking a career break. 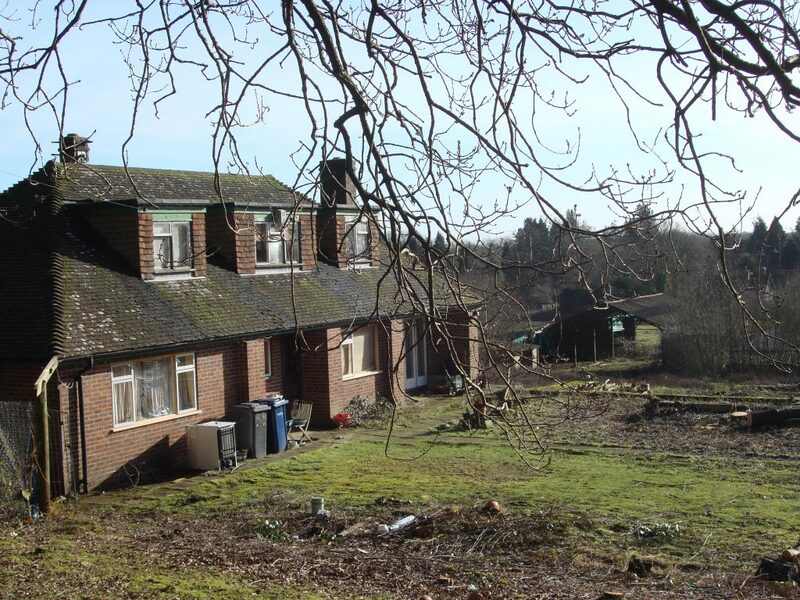 They have lived on the outskirts of Chiddingfold for seven years. 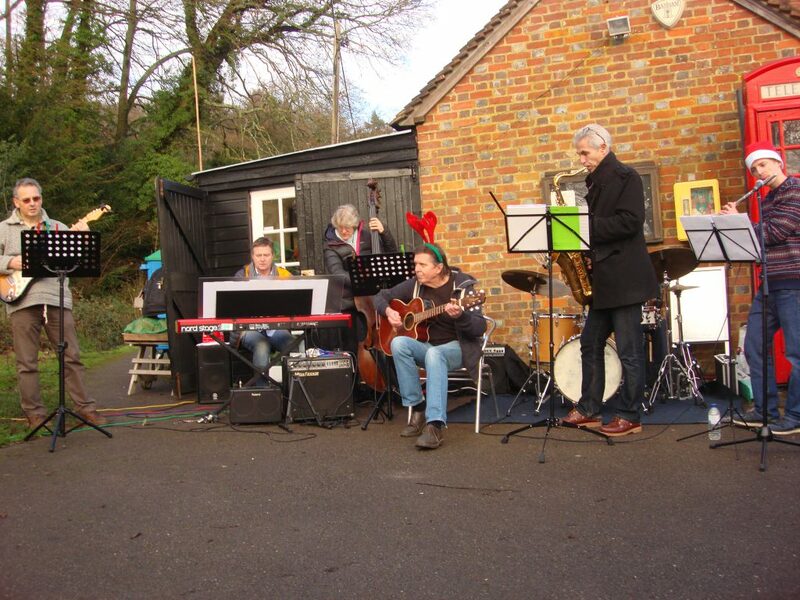 They have three sons, Joshua, William and Oliver, aged 12, eight and six who are, or were, educated at St Mary’s Primary School in Chiddingfold. Julie and Richard are regular distance runners and frequently compete in local and national events. 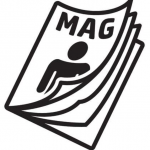 Julie said: “It would be wrong to call me an avid runner as I think I am a reluctant runner. But I am competitive and determined. Last year she was part of a team of “mums from St Mary’s” who competed in the Three Peaks Challenge, which involved climbing the three highest peaks in England Wales and Scotland. Between them they raised funds for the school and a mental health charity. Julie was welcomed to her first meeting as clerk on Wednesday (Jan 9th) at Hambledon Village Hall by chairman John Anderson and his councillor colleagues. Already very active in village and church life in Chiddingfold, Julie will now be closely associated with life an Hambledon as well. The clerk is a salaried position, councillors are unpaid. 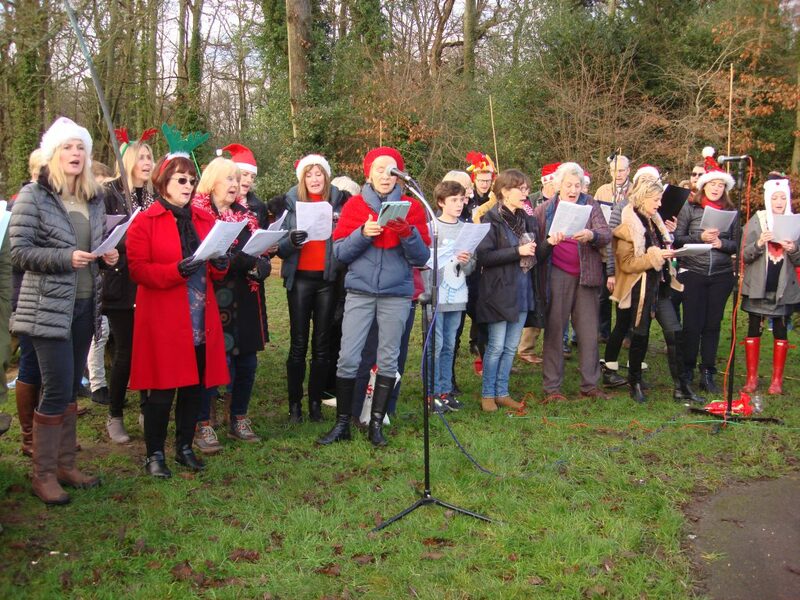 Julie’s contact details, and those of councillors, can be found on the village website under “Organisations” and “Hambledon Parish Council”, and in the Parish Magazine on the “Useful Information and Telephone Numbers” page. 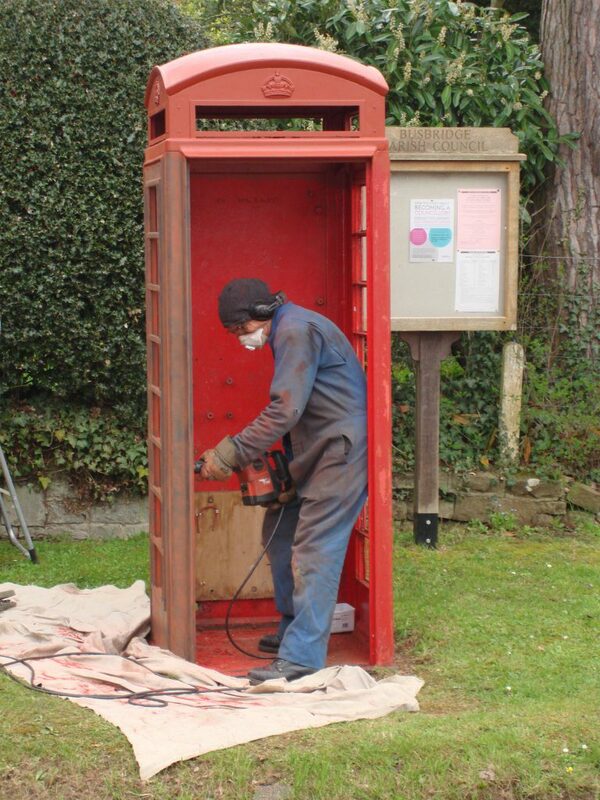 A small village on the edge of the Derbyshire Peak District has turned to Hambledon for help in keeping its traditional red telephone kiosk. 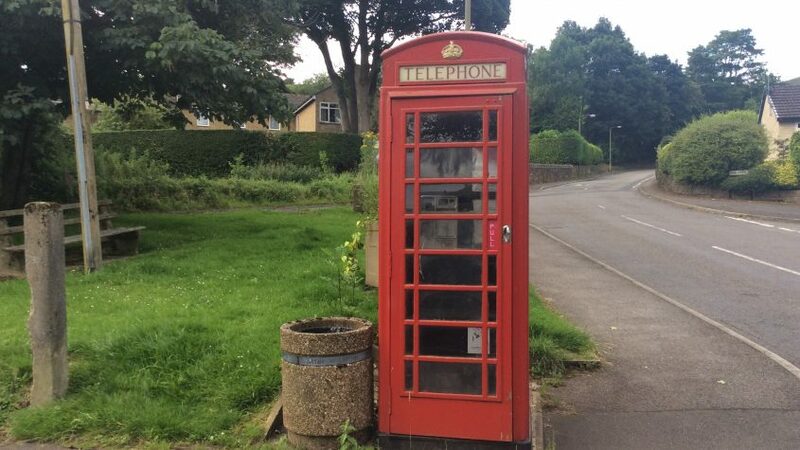 Villagers in Simmondley, near Glossop, contacted Hambledon Parish Council after reading about how it had succeeded in getting the red K6-type phone box outside the village shop and post office listed as Grade II by Historic England. 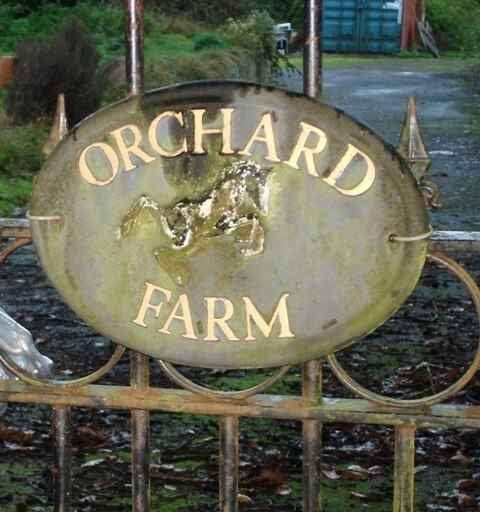 The council also objected to proposals by BT, back in 2008, to disconnect the box, arguing that it was the only one in the village and should be retained for emergency use. The kiosk in Simmondley is on the village green and BT has proposed disconnecting it. In the day of mobile phones, few people use public call boxes anymore. 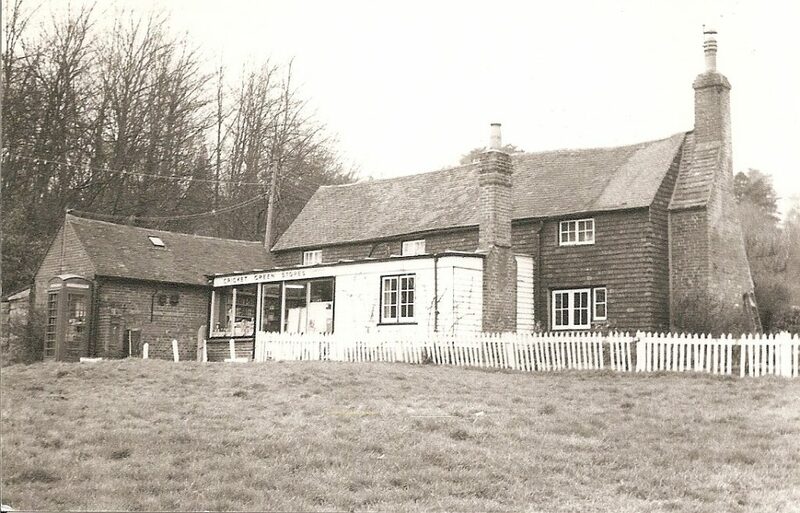 Various attempts to secure its future met with no success, and so residents turned to Hambledon. December 1st is the start of the meteorological winter, so this is a timely reminder that this website has a section containing advice and emergency contacts and this has been updated for the 2018/19 season. Here you will find practical precautionary measures and details of how to contact service providers such as electricity and water companies. 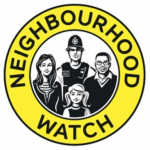 The village has a team of volunteers who will do their best to assist residents if in need, and their contact details can be found on the above link.